Villa Margareta Novalja Green Apartment is a two-stars ★★ apartment for two, three or four persons. 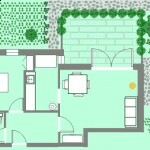 Green apartment is situated in the ground-floor of Villa Margareta Novalja with the size of 35 sq. meters. It has two rooms, fully equipped kitchen, bathroom with shower and a 13 sq. meters big terrace. Like all apartments in Villa Margareta Novalja, our Green apartment has SAT/TV system, air-conditioning and free wireless internet access capability. Parking space is secured in front of the house. Pets aren’t allowed without previous announcement! 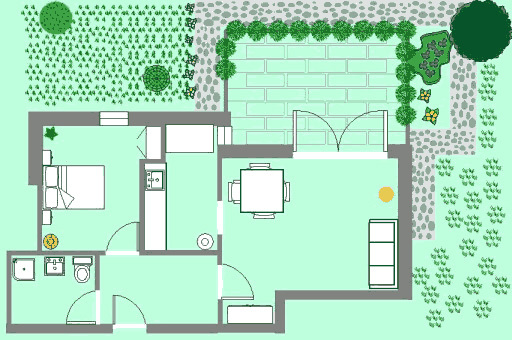 How to Make a Reservation of Green Apartment? Use quick inquiry form below or send us an email or phone us on 0038553661101 and ask for availability and price for Green apartment in Novalja today! If you don’t fancy our Green apartment take a look on our Red, Beige or Blue apartment.